Shall we start by talking about how totally awesome my best friend Sushmita is? Let's do that. Sush has always been very supportive of my approach towards pregnancy and birth this time around. She brings an interesting mix of attitudes to the table, on one hand, a set of Indian ideals and values which differ from typically British ones, and on the other, an understanding of how much "better" we have it here in the UK (in terms of access to free care, and an acceptance of natural birth etc.) Sush is, like me, fascinated by the idea of hypnobirthing and a whole host of other practices surrounding pregnancy and child birth which are still considered "alternative", in both the UK and India. We have a lot of interesting conversations; especially given that it cost friends of hers in India TENS OF THOUSANDS of pounds to have a water birth which the baby's Father was able to attend. So anyway, a little while ago, Sush asked whether she could pay for my hypnobirthing programme, as a pregnancy gift. 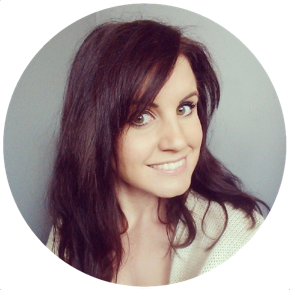 If you read my previous post about my decision to use hypnobirthing to birth my baby (Preparing For Hypnobirth - The Early Days) you'll know that I was desperate to ensure that I was able to use hypnobirthing effectively - but terrified by the cost of classes. Looking at bills upwards of £500 locally, I couldn't justify the classes, and even a course offered at £180 seemed unrealistic once I'd factored in travel and the need to make childcare arrangements for existing children. So - I was understandably chuffed to discover Natal Hypnotherapy. Developed by Maggie Howell, a British doula and hypnotherapist, Natal Hypnotherapy is another variation on the hypnobirthing theme, for a UK user (you'll know I found the very American "Mongan Method" a little too... American) that has the backing of over 100,000 successful births. It's won stacks of (again, British) awards, and the best bit? It's available as a home study course, so no need to attend classes. The complete home study course costs £60, which is significantly more affordable than any of the classes I'd seen locally, but was still quite a significant expense, and I'd been unable to put the money to one side for it until I'd got Seb's birthday out of the way, so Sush kindly stepped in and said she'd like to buy the course for me! It's one of those things that "Thank You" doesn't quite cover. Hopefully I can put all of this new material to good use and do her proud! I'll be reviewing different components of the course separately but just wanted to do a quick "First Impressions" type post to give a general overview of the content. As I said earlier, the whole course, referred to on the Natal Hypnotherapy site as their "Premium Package" costs £60. Please do be aware that it carries a heavy Postage and Packaging fee, which you won't notice until you get half way through the checkout process (it does annoy me when online retailers do this, but it's one of those things - just be aware) so if you're looking to buy this for yourself or someone else, be prepared to budget closer to £70. However, my package was dispatched the same day, and arrived the next day, so you are paying for a (not guaranteed) next day delivery service. Unfortunately, at the time of writing, this is the only delivery option offered, other than via a £20.00 courier. I'll be honest - I found the P&P charges really off putting, had I been buying a pair of boots, I'd have closed the window and shopped elsewhere when this popped up, however, I did raise this with them via email, and have suggested some cheaper options which they may look in to and adopt, so in time this may no longer be the case. It's important to add as well that I've only received exceptional customer service from them and prompt responses to my feedback. Royal Mail are just greedy! Relaxation and Stress Management Useful for everyone - teaches you skills to deal with stress more effectively, to be more chilled out and confident in yourself, and can help you to sleep better. Pregnancy Relaxation Can be used at any stage in pregnancy, and enables you to bond with your baby, make the right choices about food and drink, and begin preparing for birth. Effective Birth Preparation (the hospital/birth centre version is provided as standard but Natal Hypnotherapy were more than happy to swap it for the home birth version for me) Which teaches you the hypnobirthing techniques to overcome any fear of child birth, reduce labour and birth pain, reduce medical intervention, and feel more in control during labour and birth. The Labour Companion Contains three different scripts to use during labour to remind you of the breathing and relaxation techniques learned in the preparation CD, to take you step by step through appropriate visualisations, and to keep you focused. There's also a short track on this CD to play if for any reason you're disturbed (journey to hospital for example) to help you get back "in the zone". Relaxing Birth Music Pretty self explanatory - although Boyfriend is convinced this is Whale Music (it isn't). Fast postnatal recovery This is a self hypnosis CD to help you to remain more calm and relaxed after the birth and to increase the confidence of new Mothers. It's supposed to be a good tool in helping to combat baby blues, and to increase bonding with your new baby. The Breastfeeding Companion This CD helps you to relax and feel more confident about breast feeding. I would imagine that as I had no trouble swapping the hospital/birth centre preparation CD for the home birth version, that you could choose a different CD from the Natal Hypnotherapy website in exchange for the breastfeeding one, if you'd already chosen not to breastfeed (as was the case with me in my last pregnancy). The total value of the content of the Premium Package, based on the RRPs is £93.92 - so £60 for the lot is a brilliant saving, even with the high charge for postage. 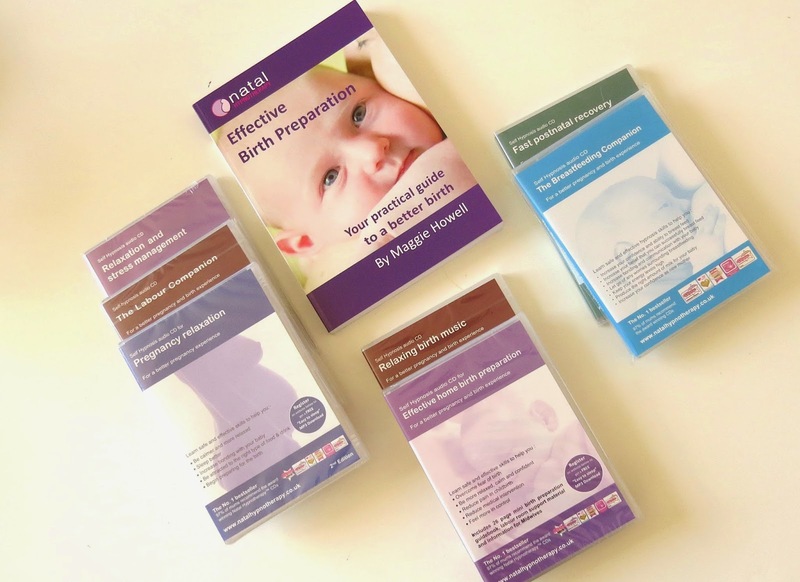 There are smaller packages made up of four CD's for £40, these include everything you'd need to prepare for birth and beyond and include tailored options for VBAC (vaginal birth after caesarean) and Twins births, but they don't include some of the additional relaxation or breastfeeding titles and are also missing the book, so I'm inclined to say that you're best off getting the £60 package if you're able to afford it.